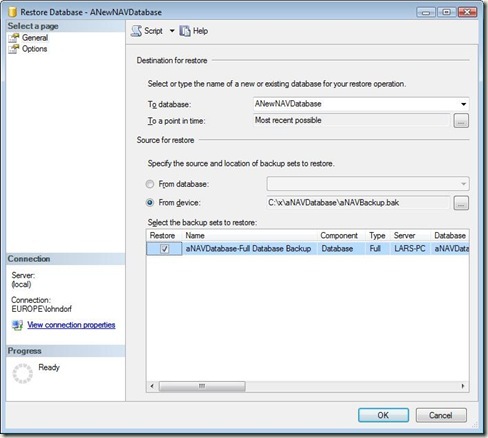 This post is part of “Overview of NAV-specific SQL features for application consultants“. 2) You don’t need to create a database first, like you do from NAV. Just right click on Databases, then select “Restore Database…”. 3) In the box that opens, type in a name for your new database. You can name it anything. Then change the source from “From database” to “From device”. Device, in this case, just means file. 4) Click the Assist Edit button next to “From Device”, which opens a new dialogue box. 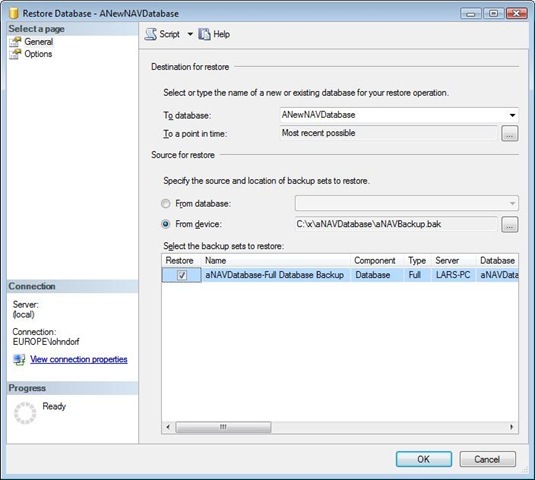 Click Add, and then select the SQL backup you are restoring, and click OK. The new database should now appear in SQL Server management studio, and you can access it from a NAV client.